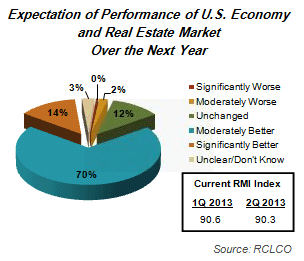 As detailed in Part 1 last week (read it here), respondents to RCLCO’s latest Market Sentiment Survey are feeling more optimistic today about the amount of runway remaining this real estate cycle than they were six months ago. 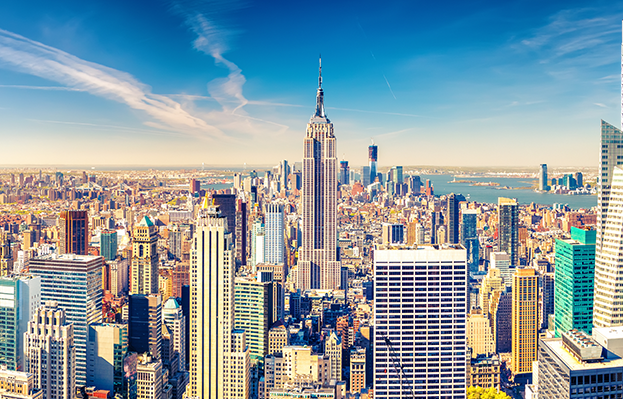 Nearly 40% of respondents believe the next U.S. real estate market downturn is at least two years off, and current sentiment is higher than it was six months ago. As such, respondents predict maturing but stable conditions to continue for at least the next year for most real estate product types. Nonetheless, they remain vigilant about when the other shoe will drop, and how much upside remains. Sentiment suggests apartments may be the first to peak. 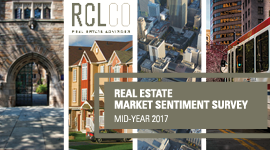 Consistent with the uptick in sentiment since RCLCO’s mid-2016 survey, respondents report most product types are still coasting in the stable phase of the real estate cycle and are no closer to downturn conditions today than they were six months ago. Source: RCLCOIn fact, every product segment showed a slower rate of progression through the cycle than respondents have reported for the past three surveys. 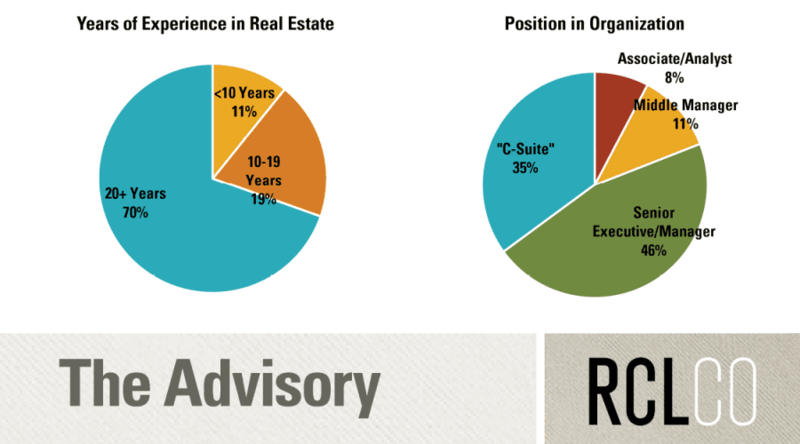 This is particularly good news for some real estate segments that were late to the recovery but previously progressing quickly through the cycle stages—namely office, retail, and resort/second home communities—as it suggests they will have more time in the upward phase of the cycle than thought six months ago, when respondents predicted they would enter the late stable phase of the cycle by mid-2017. Despite the slow rate of cycle progression today compared with six months ago, respondents still anticipate all real estate segments will have entered the late stable stage of the cycle by this time next year. 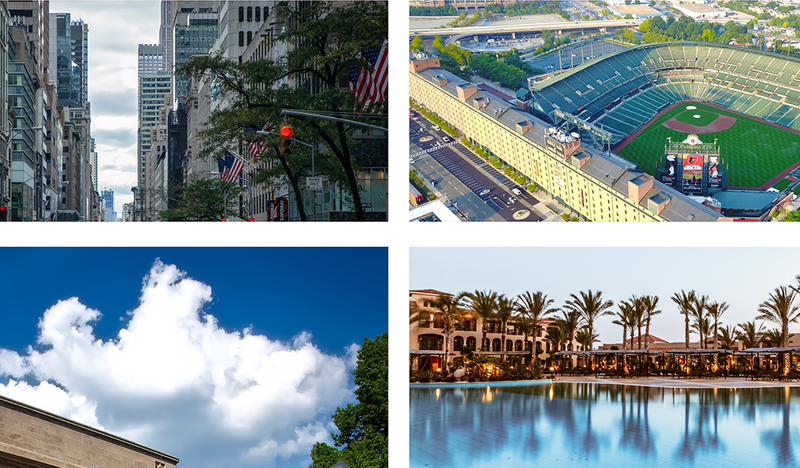 As is the case today, multifamily, land, and hotels are expected to be the most mature segments, followed closely by for-sale residential and retail. In fact, respondents predict apartments will be on the cusp of downturn conditions. Apartments have been the big winner of this real estate cycle. According to RCLCO’s survey, apartments were the first segment to enter the early stable phase of the cycle, all the way back in mid-2012—one year earlier than any of the other segments. However, the apartment market may be running out of runway. A full 40% of respondents predict apartments will experience early downturn conditions within the next 12 months, up from 28% six months ago and 20% one year ago. 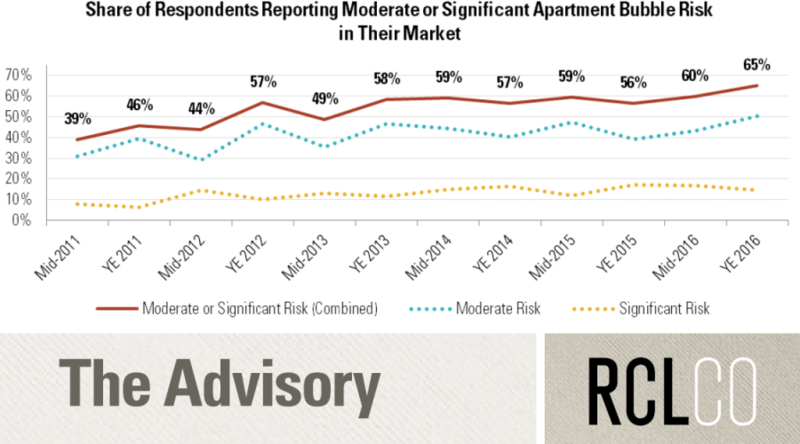 Additionally, 65% of respondents now believe there is a moderate or significant risk of an apartment bubble, up from the 60% mark where sentiment had held been holding since the year-end 2013 survey. The share of respondents reporting apartment bubble concerns is strongest in the greater Washington, D.C.; Texas; and Southeast (excluding Florida) markets. In those regions, at least three-fourths of respondents say there is a moderate or significant risk of an apartment bubble. The share of respondents predicting early downturn conditions this time next year also increased meaningfully for several other product types, although none to the same degree as apartments. Approximately one-quarter of respondents now predict early downturn conditions for land and hospitality in 12 months, a five percentage point increase over six months ago. Additionally, nearly 20% of respondents also anticipate early downturn conditions for for-sale residential, office, retail, and resort/second home. While respondents making these downturn predictions are still in the minority, the share is growing. It will be important to continue to monitor market conditions, even though most respondents believe the next real estate downturn will not occur until at least 2018. On the one hand, there is a strong argument for the expansionary phase of the cycle lasting longer than this. The new administration is promising stimulus programs in the form of infrastructure investments, deregulation of financial markets, increased military spending, and tax rate reductions, which, should they be enacted, would generally be good for industry and increase demand for real estate. This in turn, while it could result in inflationary pressures that would raise the cost of capital, would generally be good for real estate. On the other hand, while President Trump’s proposed fiscal spending could stimulate further economic growth, there are those who argue that his mercurial character and still largely unknown (and possibly unsound) policy proposals—on top of political and societal turmoil elsewhere in the world—could introduce greater uncertainty and volatility into the system. A majority of the country’s most prominent economists have banded together recently to say that the stock market has it wrong, and the president’s policies will cause little additional growth in the U.S.
What is most clear is that the outlook has become much less clear. The “base case” economic trend could indeed be more positive and for longer, but volatility and uncertainty increase the odds that an asset bubble or some other unanticipated disruptive exogenous event could derail the current U.S. positive growth trajectory. The RCLCO outlook remains positive, calling for moderate growth with potentially more volatility and uncertainty until the administration’s intent and, more importantly, achievements become evident, and effects on the economy better understood. 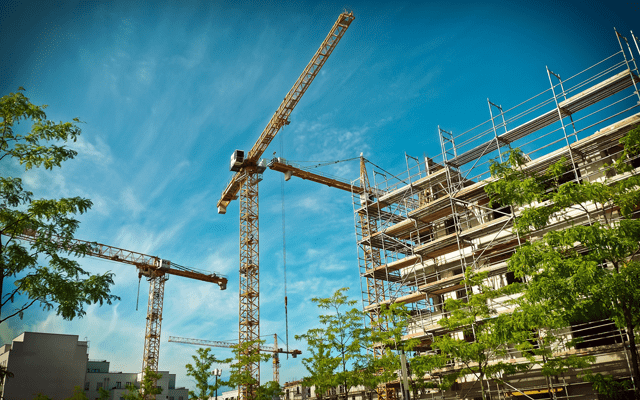 This scenario translates into a potentially longer lasting expansion for real estate investors, owners, and operators through 2019 and beyond. However, we advise everyone in the real estate industry to dust off contingency plans and revisit their cycle strategies to be able to react quickly to potential alternative outcomes. In short, while expecting positive overall economic and market conditions for the next year or two, we advise our clients to be prepared for a “surprise” as volatility and lack of predictability cannot be ruled out.